Vacations have never been sweeter than during Pastry Chef Week at Villa del Palmar at the Islands of Loreto. Of all the events in Loreto this summer, July 3-8 will be a time to savor as you learn from some of the top pastry chefs in the world and sample decadent pastries. Whether you love baking, eating, or both, you’ll be able to enjoy a week of Loreto activities centered around chocolate and pastries all within one of the most luxurious Loreto Mexico resorts. Book your stay now to secure your spot for one of the sweetest Loreto events of the year. Being a part of this event provides you with plenty of things to do in Loreto that will draw you into the world of a master baker. When you arrive at the Villa del Palmar Loreto all inclusive resort, you’re invited to a meet and greet party with the celebrity chefs who will be cooking and teaching throughout the week. Over cocktails and treats, you’ll be able to learn more about them and get to know the other participants. The next several days of events in Loreto include demonstrations and pastry classes by the pool, elegant dinners in the dining rooms, and a chocolate buffet. Each of these Loreto events will spark creativity and open doors into the possibilities of what you can create in your own kitchen when you return home. During Pastry Chef Week at the Villa del Palmar Loreto all inclusive resort, you can call one of the luxurious deluxe suites your home. For five nights, you’ll fall asleep to the sounds of the waves and wake up with daylight peeking in from the beach, a treat that will rejuvenate your body and mind. The comfort and stunning location of one of the top Loreto Mexico resorts are part of what makes this week so special. Whether you’re relaxing in your suite, learning about pastries by the pool, or savoring a multi-course dinner in the dining room, the serenity and beauty of Loreto Mexico is just a sweet as the pastries. Between these decadent events in Loreto, you can relax with the other amenities offered at Villa del Palmar at the Islands of Loreto. If you can’t get enough chocolate during Pastry Chef Week, the Chocolate Delight massage at Sabila Spa will soothe your body as the rich aroma of chocolate tantalizes your senses. One of the top things to do in Loreto is a round of golf at the resort. If you don’t have time between Pastry Week events for a whole round, you can practice on the putting green while taking in the fresh sea breeze. 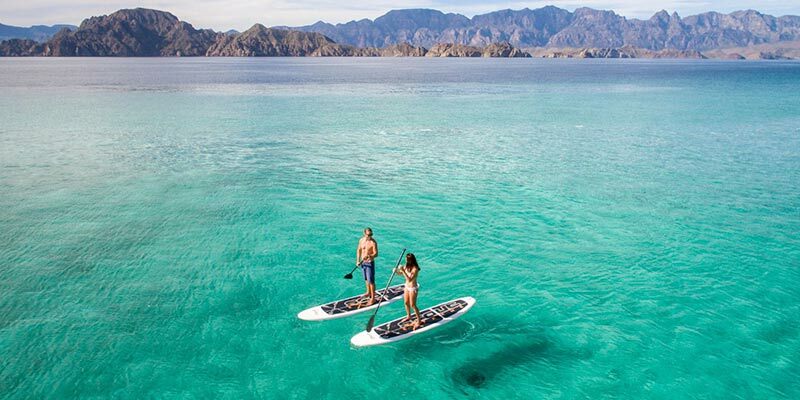 For travelers who want to venture outside the resort, there’s plenty to do in the untouched natural environment of Loreto Mexico. Some of the favorite Loreto activities take you out onto the sea for an afternoon of fishing, snorkeling, and cruising. Walking through the charming downtown streets will transport you back in time to simpler days as you dive into authentic Mexican culture. One of the more relaxing Loreto activities is to simply lounge by one of the five pools at the Villa del Palmar Loreto all inclusive resort. Grab a book, order a drink, and dip into the water when the sun gets hot, and you’ll find your afternoon between cooking classes to be just as rich and savory. Between the things to do in Loreto and the events of Pastry Chef Week, time will drift away, and you’ll be refreshed when you fly home. 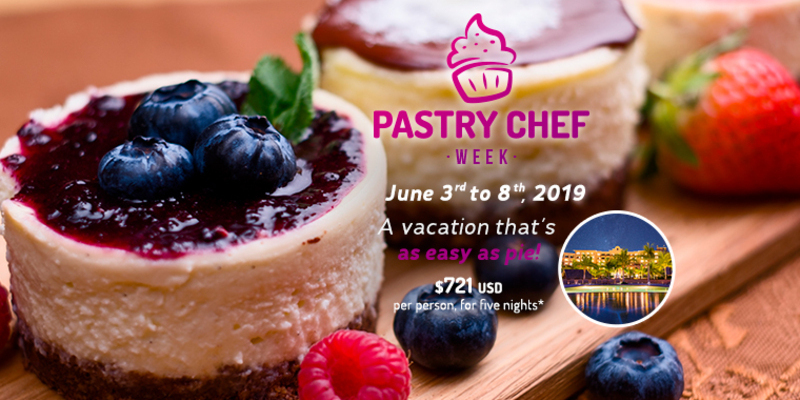 Planning your vacation to one of the top Loreto Mexico resorts is as easy as pie when you book your trip to Villa del Palmar at the Islands of Loreto during Pastry Chef Week. Join in the fun for decadent Loreto events that will feed your mind and belly as you learn new techniques from the masters and sample rich pastries and chocolates.